Originally we were only supposed to stay one night. We ran into some problems on the road and called the resort to inquire if they had a site available a day early allowing us to enter a day early. The staff was very accommodating and advised they had a site we could book into a day early and stay for the 2 nights. This facility is absolutely wonderful. 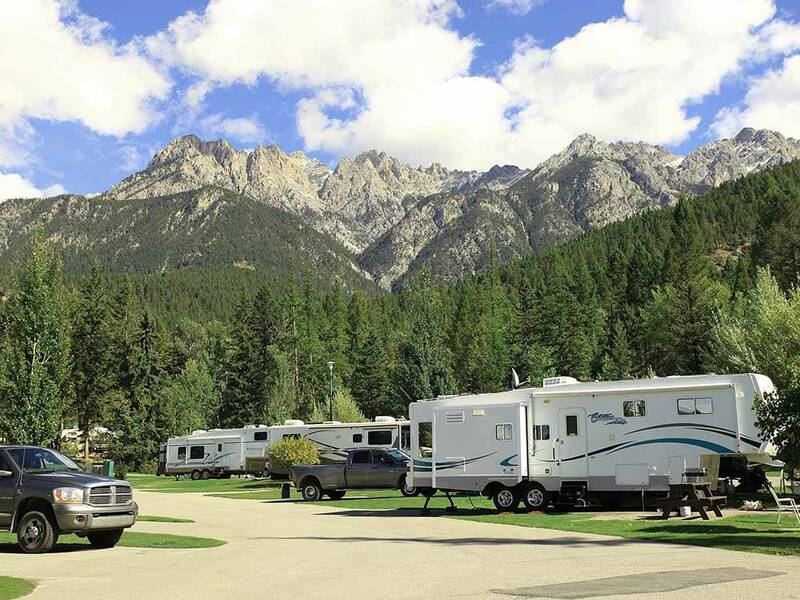 The RV Resort portion of this facility as very clean and enjoyable to walk through. That being said, the back-in spots are a bit small. The present unit we have is forty-eight feet in length and the spot we were in was a little short. When we got parked the back end of our trailer hung over the back of our site which is where the entry door is. The front of our truck crowded the road.We are of the age where we are starting to do more travelling as time permits. We do have plans to re-visit this park again anytime we are travelling in the area. Nice location. It could feel crowded in the peak season because sites are close together will little to no foliage. Amenities are excellent and include the hot springs pool, golf, restaurants, shops, laundry, playground, and easy access to mountain hiking and related activities. Site fee seemed reasonable for the season. Showers in men's room in our loop were fine, but my wife complained that the women's shower required so many pushing of the button that she gave and went to the pool.